Chips and cracks can appear in your windshield from seemingly out of nowhere. It does not take a large or heavy object to strike your windshield; all that needs to happen is for a pebble or bit of road debris to hit your glass in the right way. Many chips appear to be annoying but minor imperfections, but the reality is that you should contact a Houston Windshield Repair service as quickly as possible if you notice any damage to your auto glass. The main reason that you should have your windshield repaired or replaced by professionals is because small damage almost inevitably leads to larger damage. Just as abruptly as a chip appeared, a crack can form and spread out by something as mundane as you driving over a bump in the road. Windshields with chips and cracks in them, however small, lack total structural integrity, and very little is required to turn a hairline fracture into something that spreads across your entire windshield. In addition to the potential issue of long cracks and spiderweb cracks spreading out from small areas of damage, windshields are a structural part of a vehicle and are designed to provide stability for your automobile’s roof. If you are in an accident and your windshield is not in perfect shape, it could increase the potential damage to the vehicle and its occupants. Furthermore, if you are in a crash that involves your air bags deploying, your already weakened windshield could shatter. Repair or Replace Damaged Auto Glass? If damage is minor enough and not in a sensitive location, cracks and chips in glass can be repaired. When done properly, windshield repair not only eliminates visual signs of imperfections, they can also prevent damage from spreading. However, there are certain circumstances where repairs are not possible. If damage is extensive or if it is in a sensitive area, such as near the edge of the glass, replacement is the only viable solution. This is another reason that you should have damage look at as quickly as possible; dealing with these issues promptly can prevent them from becoming too deep or large to repair. 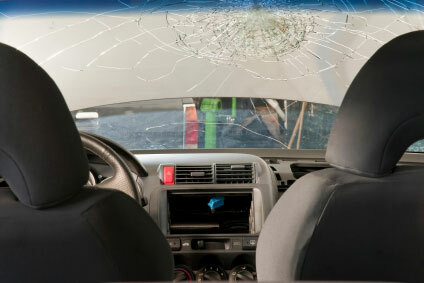 It is important to have windshield replacement handled by Houston professionals. While the idea of popping out a windshield and gluing in a new one seems like it would be easy, the reality is that there are a variety of issues that could make a crack in your window glass seem like the least of your troubles. Special glue needs to be used to ensure that glass stays in place, and your windshield needs to be aligned properly to prevent leaks from forming. Additionally, weather stripping needs to be handled carefully and replaced if it is cracked and dried out. If any step in the process is not handled correctly, a variety of problems may occur. Will Insurance Cover Repairs or Replacement? Depending on the level of automotive insurance that you have, windshield replacements may be covered with no or very small out of pocket costs. If you have a new vehicle, it is likely that the level of coverage you have covers replacement. Even if your insurance provider does not cover windshield replacement specifically, you may still be able to file a claim and only be required to pay your deductible. 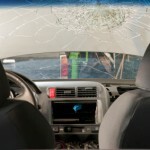 If you have a damaged windshield, Apple Glass can provide you with an estimate for repair or replacement. Contact Apple Glass in The Woodlands 281-296-0600 or Houston, Texas 713-680-1400 for more information. This entry was posted in Auto Glass, Windshield Repair, Windshield Replacement And Repair and tagged Auto Glass Houston, Houston Windshield Repair, Houston Windshield Replacement. Bookmark the permalink.